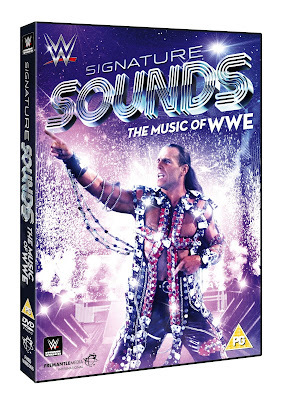 WWE's Signature Sounds - The Music of WWE is out now on Monday in the UK on DVD from www.wwedvd.co.uk and all other good home video stores. The main feature is an over 50 minute countdown that looks at the Top 25 entrance themes in WWE history, with composer Jim Johnston being heavily featured. There is also around fifteen minutes of special features included on the single disc release. The first thing to mention is that this is WWE's version of their Top 25 entrance themes, don't expect to go in and have them name you're favourite entrance themes, because you will most likely end up disappointed (There's no space for Real American (Hulk Hogan), Metalingus (Edge) or Also sprach Zarathustra (Ric Flair) for example). If, however, you go in expecting some interesting stories on the composition of certain WWE themes, then you'll come out feeling pretty satisfied. Jim Johnston presents an interesting look at a number of the different themes included in the list, whether that be how he connected with a certain performer or artist, why the theme sounds like it does or how certain elements of the song were put together, he's clearly a very talented man and has a passion for what he does. For me, this feature tries to pack too many themes into it's 52 minute running time, with 25 separate themes meaning that it's difficult for any of the theme to get featured for much longer than a few minutes, with the Number One spot feeling particularly brief and leading to an anti-climax to close the set. The countdown format is perhaps the best that the set could have gone with, as a simple look at Jim Johnston's creative process for a number of songs could have done a much better job, whilst also allowing to branch out into a some of the songs that WWE decided they didn't want to include in their list, but it could easily be suggested that the 25 chosen were chosen because WWE had footage of those superstars talking about their entrance themes. It's also a shame that there's no Jimmy Hart interview included to discuss the songs that he composed that make the Top 25, WWE were on good terms with Hart at the time and he's appeared on plenty of other recent DVD releases so there's no real excuse to not have him speak here. 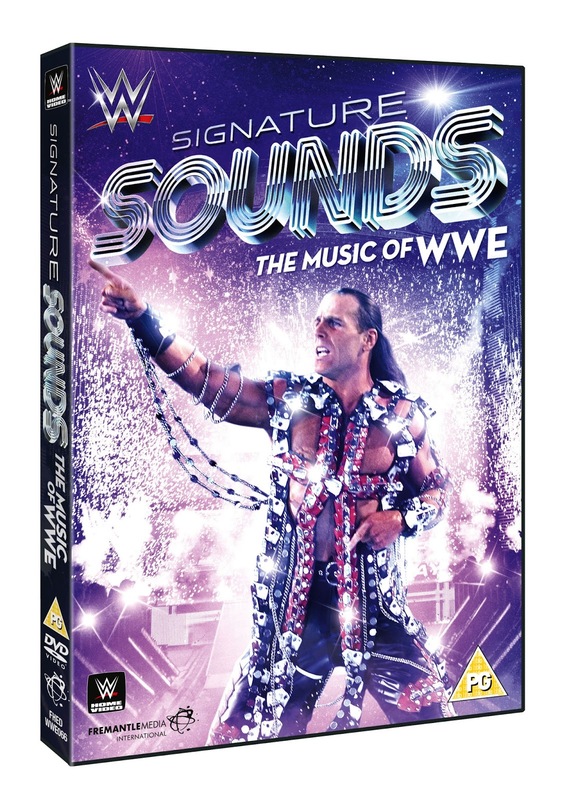 In terms of special features there's a few more themes that are looked at, with the look at the Tell Me A Lie song which was included in Shawn Michaels original farewell video package being the most interesting of the bunch, alongside a more in depth look at how Johnston created Gold-Lust, Goldust's WWE theme. You can pre-order this DVD on Amazon for £4.99 right now, and I'd happily say that it's worth every penny of that. There's a lot of interesting stories at an area of pro-wrestling that rarely get's a proper spotlight, with Jim Johnston shining as the star. The disc has it's issues, but as a budget release it's difficult to not recommend it. Would make a fantastic stocking filler for any WWE fan.